Clothing made from natural fibers, including cotton, silk, linen, bamboo, and wool allows air flow meaning that you will stay cool in warm weather, and keep warm in the cold. Shirt – print or patterned shirts are the best for hiding any spills during travel. Cotton leggings or jeans (denim with a little stretch for extra comfort) are great options year round. 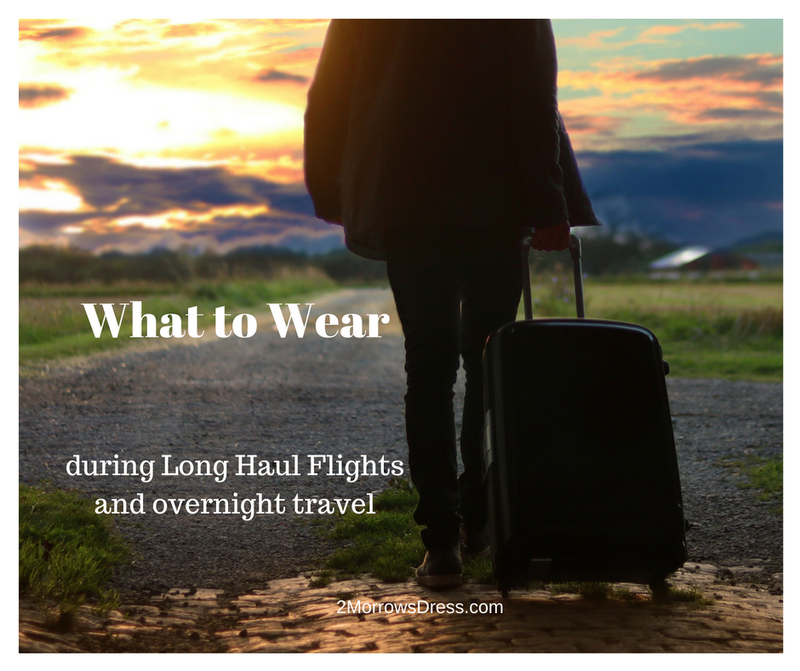 100% Cotton socks or compression socks for overnight flights – Any flight where I plan to sleep and will be inactive during the flight, I wear compression socks to minimize leg and foot swelling. Compression socks relieve the increased pressure in leg veins, plus they keep your feet warm on chilly flights. To save on luggage space, I tend to pack smaller shoes and wear the bulky shoes on my flight. Feet and ankles can swell after a few hours flying, so I avoid tight shoes and opt for comfort with a leather slip-on or rubber soled sneaker with stretch. Rubber soled ballet flats are a great summer travel option. Closed toed shoes will protect your feet and toes from the crowds, not to mention getting run over by luggage wheels. TSA precheck passengers do not have to remove shoes to pass through security. However, many boots and ladies’ heels have a metal shank for support that will set off metal detectors. Rubber sole and flexible shoes are more comfortable for travel and can be worn walking through the metal detectors. Avoid heavy belts, metal hair accessories, bulky bracelets, or anything else that may set off the metal detectors. Try to minimize any items that you might have to remove, and possibly forget, at the security checkpoint. Don’t be that person that holds up the security line. It is impossible to find the single perfect outfit that works for every climate during your travels. Start will a lightweight base layer (short sleeve cotton tee shirt is my favorite) and bring a light jacket or pullover layer. I always pack an extra layer in my carry on to avoid an extra layer going through security and I have it for later. Going someplace warm? Wear a base layer of tank top or tee shirt and pack a pair of shorts and flip-flops in your carry on to change on arrival. Going someplace cold? Pack a couple extra layers in your carry on to combat temperature changes in flight, and add layers before landing. Stash an extra pair of (thick) socks in your carry on to change into a fresh pair of warm socks on arrival. 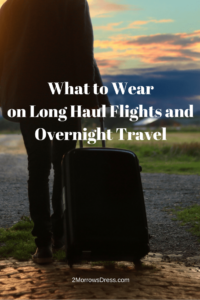 Finding the right balance of wearing something comfortable and appropriate at departure and arrival destinations is hard enough, sometimes it is just easier to change into sundress and sandals at the arrival airport than freeze on the flight! Okay, this one isn’t exactly fashion related but it will help you look your best after an overnight flight. Air travel will dry out your hair and skin. Apply lip balm frequently throughout the flight to hydrate your lips and prevent chapped or cracked lips. Your face with thank you to skip the makeup and use a moisturizing cleansing cloth after each flight. The first shower after you arrive, let your hair conditioner soak in a few extra minutes, or better yet, pack a leave-in hair conditioner for the first night. 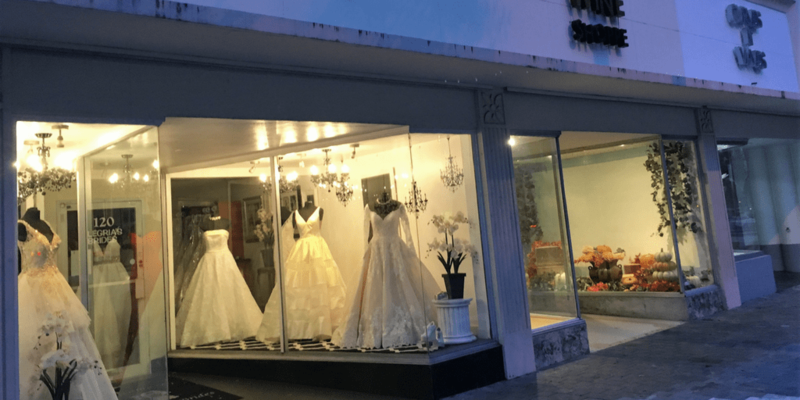 This post contains affiliate links, that means 2MorrowsDress may make a small commission at no extra cost to you. You won’t pay anything extra but it helps to support running this website and continue to publish original content. Additional information can be found on the disclosure page.